In August 1943, the USS Abner Read struck a Japanese naval mine while conducting patrols in the Bering Sea. The explosion sheared the ship’s entire stern section, sending it and 71 U.S. sailors to the bottom of the Bering Sea. 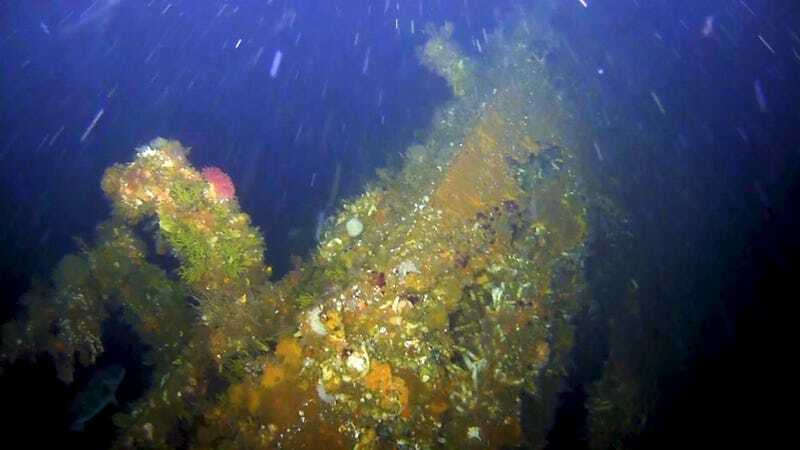 Lost for 75 years, the World War II destroyer’s severed stern has finally been found off a remote Alaskan island. The 75-foot stern section was discovered in the Bering Sea near the Aleutian island of Kiska on July 17 by a team of scientists from Scripps Institution of Oceanography at the University of California San Diego and the University of Delaware. During the Second World War, the Aleutian islands of Kiska and Attu were occupied by as many as 7,200 Japanese troops. From June 1942 to August 1943, the United States lost many ships, aircraft, and submarines during the 15-month campaign to wrest these islands from Imperial Japan. At 1:50 a.m. on August 18, 1943, the USS Abner Read was on patrol in search of Japanese submarines when it struck a naval mine. The massive explosion ripped the ship apart, killing 71 sailors and sending the stern to the bottom of the ocean. Miraculously, the ship did not sink; heroic actions by the crew kept the main part of the Abner Read’s hull watertight. Two nearby Navy ships were called in, towing the badly damaged destroyer to a port in Adak. 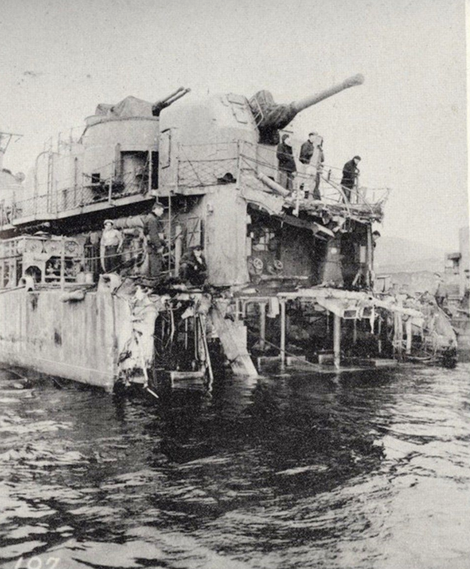 “This was catastrophic damage that by all rights should have sunk the entire ship,” Sam Cox, director of the Naval History and Heritage Command, said in a statement. But the ship proved to be the little engine that could. Within months, the Abner Read was repaired and sent back into action. 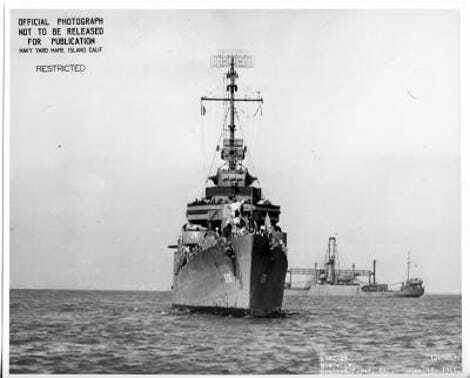 The destroyer fought in several battles in the Pacific Theatre, but it was sunk for good during a kamikaze attack during the battle of Leyte Gulf in 1944. The USS Abner Read is protected by the 2004 Sunken Military Craft Act, and the U.S. Navy has already said it has no plans to conduct recovery operations. The vessel’s stern is now an official war grave, and a solemn reminder of the many sacrifices made during the Second World War.